Sorry to leave it until so late in the week to write a blog post. My name is Juliet (@tartankiwi). I am a Scot born and bred who moved to New Zealand almost 10 years ago and has lived in Christchurch for close to 6 years. In the time that I have lived here the city has changed a lot as a result of the series of devastating earthquakes that hit 5 years ago. The city is still rebuilding and will be for many years to come, but people have learnt to make the best of what they've got and amazing creativity has sprung out of the ruins. For me, I guess this whole blogging and sewing journey started when we moved to Christchurch. I had left my job to move to Christchurch and found myself as a stay at home Mum to a 15 month old little girl, living in a new town where I didn't know anyone. I was in a pretty shy and lonely headspace and knew that I was in danger of becoming bored and insular if I didn't find a way to occupy myself. I looked for a way to challenge myself to try new things and ended up starting a blog. 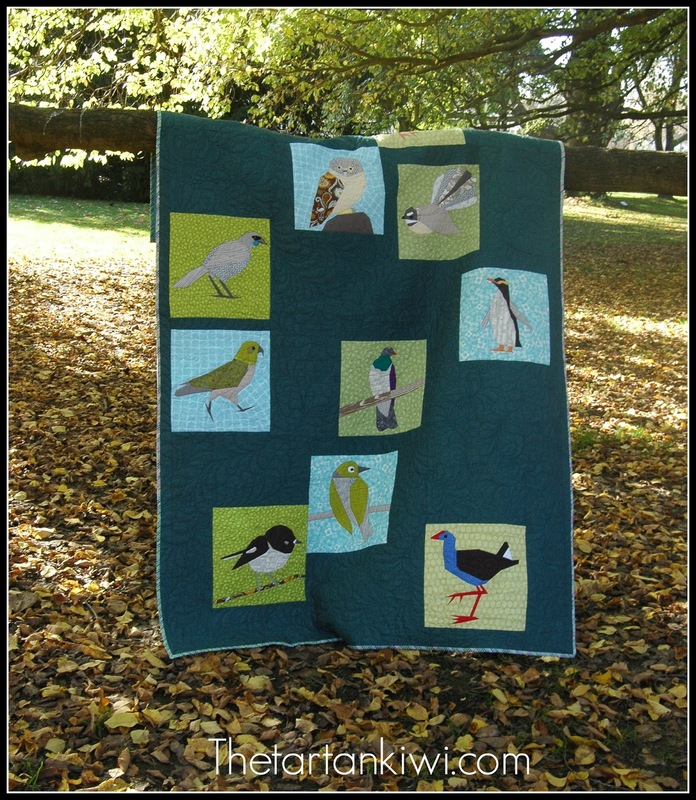 In the very early days it was a crafting and Mummy blog, then I got out my sewing machine to sew clothes and bags then eventually I started quilting. I took a fearless approach to quilting. I didn't allow myself to believe that a specific technique would be difficult. I just plunged in with both feet. 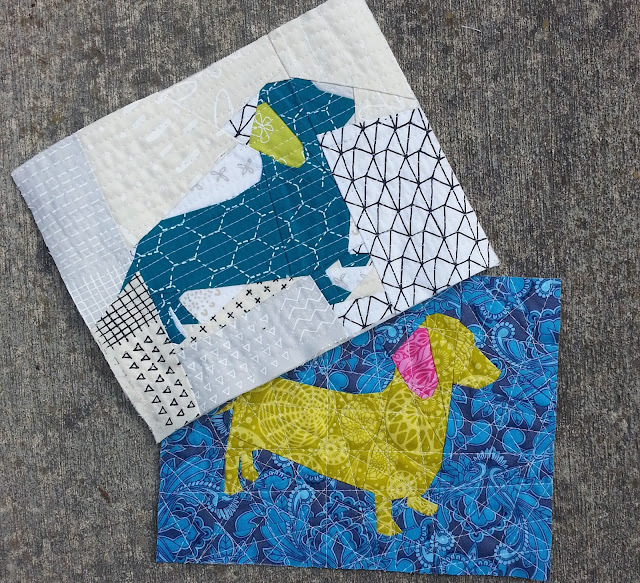 I tried out a few different styles of piecing, but something about paper piecing suited me. I loved that I could achieve really precise results without always being super exact in my methods. I also understood the logic of the patterns and after only sewing a few patterns, I began to itch to design my own patterns. One of the things that I loved the most about blogging was the amazing bloggers that I met as a result. In the post earthquake world, the Christchurch bloggers became a very close group and it was amazing to be inspired and encouraged by this group of amazing women, many who have since become my closest friends. I started designing using Quilt Assistant. This is a free program which you can download and which allows you to design blocks. While the program definitely has limitations, it was a great way to learn. Initially I shared my patterns for free via my blog, but everyone told me that I was mad and I should be selling them. Finally I opened a shop and the rest is history. I saved up my pattern money and invested in EQ7. 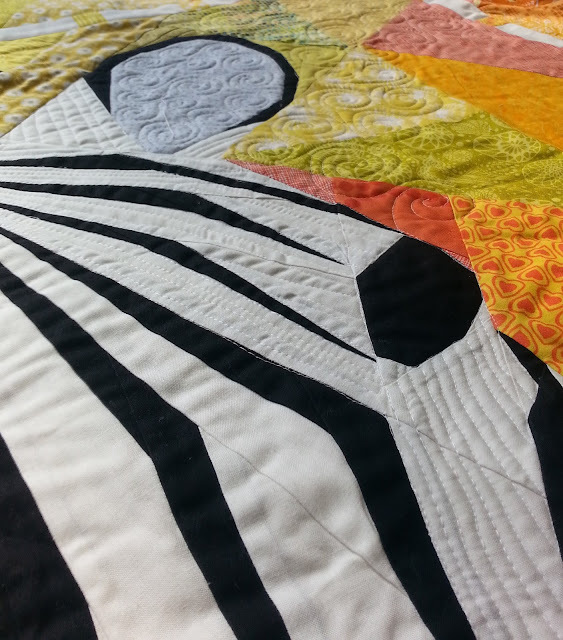 This software was a big step up and I must admit that I was really intimidated by it in the early days, but it allows me to do so much more than I could do with Quilt Assistant. I am teaching myself more about the program all the time and it is really exciting to see my patterns evolve and the presentation of them improve. I regard my sewing and designing as a journey and I can definitely see a change in my patterns over the years, that said I think that they retain a style which is distinctly me. I often say that I don't do cute, but you would be forgiven for not believing this if you saw the mini doxie pattern that I released this week! What I mean is that I try to make my patterns realistic, not cutesy. I love designing animal and bird blocks and where I can, I try to choose poses that give the animal motion. I love love love adding detail to my patterns and to do this detail justice, I often increase the size of the pattern. Why add detail if it is so small that nobody can see it? 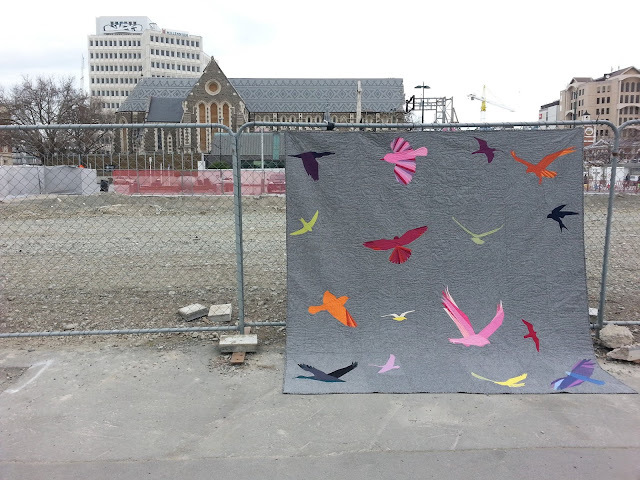 Christchurch Street Art leads to some fun Quilt Photos! I showed a photo of my Zebra quilt on instagram this week, but it was in the process of being quilted so you couldn't really see it. I am loving this quilt which I am making for my daughter and I can't wait to see her face when I hand it over to her! 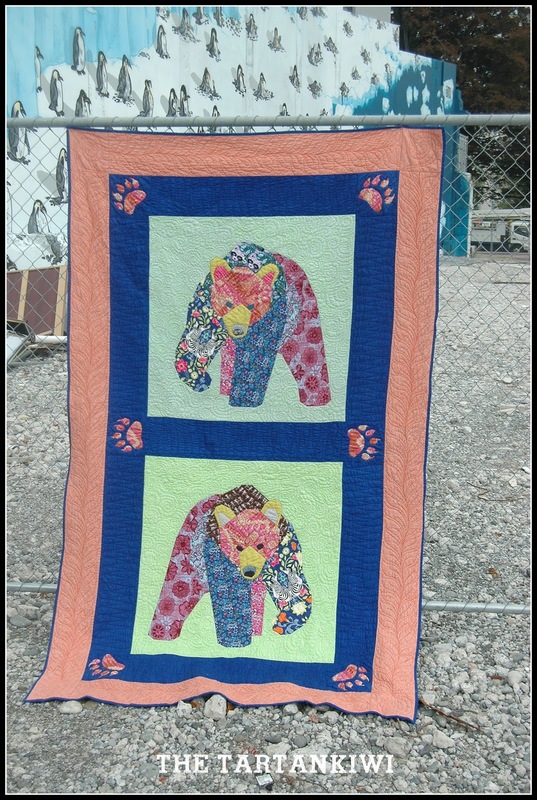 Thank you so much for having me on 52 quilters. I have really enjoyed sharing a bit about me and my quilting. If you like what you saw, I hope you will come and visit me on my blog or instagram. If you are interested in buying any of my patterns, you can find them in my Etsy store. Juliet is a Scot living in New Zealand with her husband and two kids. 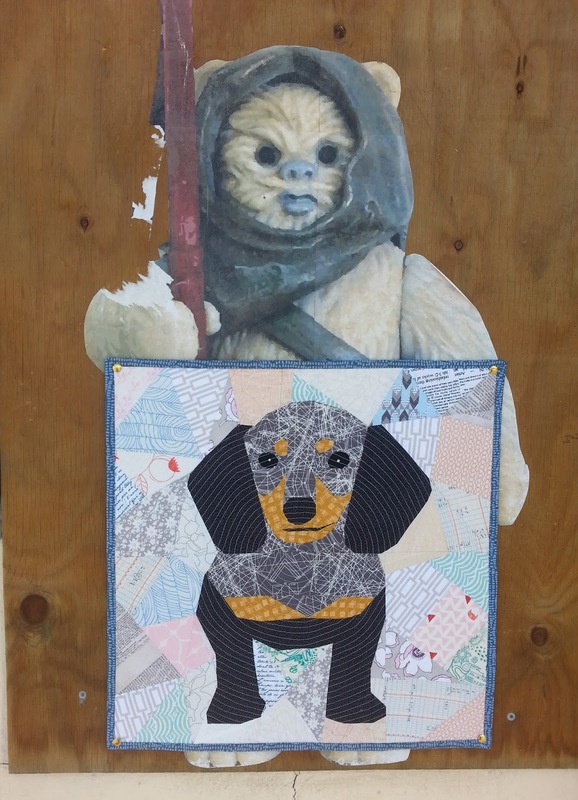 She designs and sews foundation paper pieced patterns. She loves giving her patterns a sense of movement and loves the constant battle of deciding between too much detail and not enough. 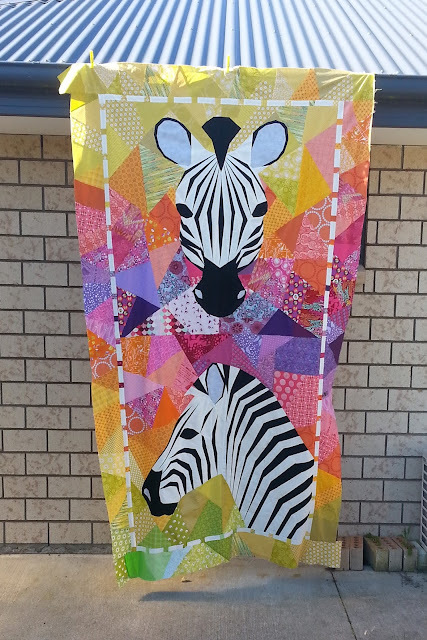 Juliet has fun with her fabric choices and her lively patterns really show that off! 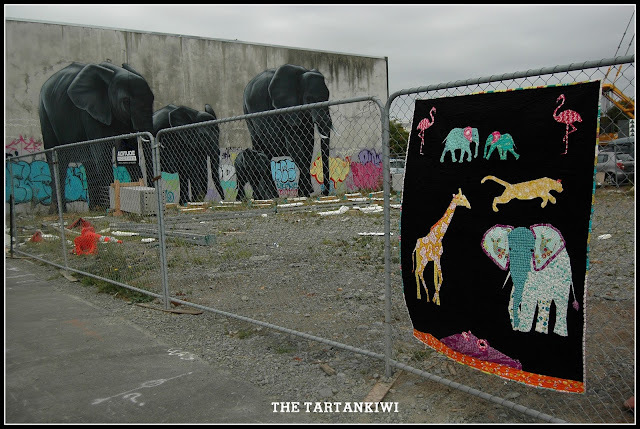 Follow along on Instagram at @tartainkiwi.